You watch the Disney Channel daily and dream about being Miley Cyrus or Selena Gomez. You say to yourself I can do that too. I can do that better, if only I had a chance to show the Disney Channel my talent – Well, the good news is you can, but it may take a good amount of work, dedication and some luck as well. That’s what Disney Channel auditions are for! 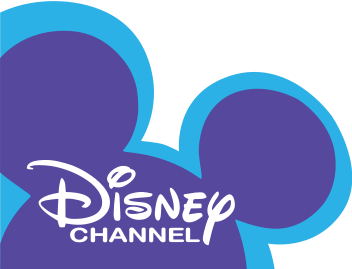 Disney produces many shows, on different Disney channels and in different countries. There is a Disney Channel UK, Disney Cinemagic, Disney Junior and Disney XD. Disney is also known for making lots of original movies that star many kids, pre-teens and teens. All these channels need shows to run 24/7 and every show needs talent. Before you become a famous Disney Actress, you are gonna have to learn how to get on the Disney Channel to begin with. 1. Attend an open casting call. Every year theDisney Channel and Disney XD hold an open casting call for new talent. These are not necessarily auditions for any one part or one show. These Disney casting calls are more general and are meant to get Disney some PR points as well allow casting directors to take a look at new talent. Since Disney only holds these once or twice a year you can expect the casting call to be insanely crowded. Think thousands of kids and their parents packed into a convention center or other large arena. Unfortunately, because of how many people attend these events, not everyone will get a chance to be seen and the ones that do will only be afforded a few minutes of time. Your chances of getting discovered at this type of event are slim, however, they do exist and if Disney Channel Tryouts are coming to a city near you, you may want to attend and take your chances with the crowds. For example, this year, a Disney open casting call was held in Richmond, Virginia in July and another was held in Austin, Texas in June. A private audition with Disney Casting directors is not open to the public. This is not an open call and thousands of other hopefuls will not be there. A private audition is exactly that. It is a meeting that is setup by your agent. During that meeting / audition, you will get a chance to meet the casting directors and perform for them. Since these are setup by agents, you must first get an agent. Most Disney shows and movies are cast this way. Your chances of getting cast this way are much higher that had you simply attended an open call with thousands of others, however, getting that private audition is far harder to do than simply show up in a convention center. To get an agent you must first get a bit of experience and training. For adults going to the best acting schools is more important than for kids. Kids can usually get away with a few classes and a few small parts before getting an agent. Also, unlike adults, kids do not always need professional headshots. Most people understand that kids grow quickly and a recent snapshot is more appropriate than a very outdated headshot. Anyway, those are your 2 options, pick the best one and follow your dream. Ok, if I already have an agent should I just call them and ask if they might be able to set up a private audition? Thanks, Brianna D.
My daughter is 7 years old. She loves to sing, dance and loves doing her pageants. She is getting ready to start dance and has done cheer clinic for a middle school that she had one night to learn the routine. She would love to tryout if you could point us in the right direction that’d be great. There were auditions here in Lafayette IN for something, not sure what, but she’s always begging me. Now that she’s a little older I figured it’s worth a shot. Why not let her follow her dream! I am a high energy 6 year old girl who loves disney channel. I have been in dance and presently in gymnastics. I just want a chance to show my style. I really want to be a actor pleeeeeesssssssss call. Hey I’m Teay, I am really good at singing, I sing everywhere and I think I got what it takes to be on disney channel. hello my name is Crystal Mclean. I live in VA, I have been looking forward to audition for a show or movie, anything. I just want somebody out there to notice my talent. I can sing very well. I am currently singing in a choir now. I really want to act to. Hello I am Brittany and I am 14 years old.I live in Alabama and would love to act/model.I am approximately 5’7 and have dark colored skin.I also have long brown eyes and brow eyes and i am skinny.I have experience with acting in a theater and I am open to any roles.Thank You for your time. Long brown hair and brown eyes sorry. I have always been a fan of the Disney channel and it is my dream to be a part of it. My name is Nadia and I am 5’3. I am 11 yrs old. I am interested in acting/modeling. I would love to share my talent with you and show you that I am a go-getter. Hi my name is Marie and I am 12 years old. I am Polynesian that can pass with several multi-racial looks. I live in Texas. It is more than a dream to be an actress. I also sing and am ready for this dream of a lifetime to come true. Just looking for an opportunity to work hard and fulfill my dreams. Thank you. My name’s Channell. I’m going to turn 13 soon and its been my dream to be on Disney channel. I’m a really good actress. I always act in plays and get great levels. I’m also a great singer. The faulty is that I live in the UK so I was wondering if there’s any in the UK. Hi my name is Katie and I am thirteen years old. I love Disney a lot and my friends and I always act out the parts from shows. I am a well rounded person, I get good grades in school, play in band, go to church, and hang out with friends and family. Adding acting too my life would be such a blessing! Please reply!!! This is all I ever wanted, and I’m getting it. I AM 9 YEARDS OLD AND I AM A TALENTED GIRL.I CAN ACT SING AND DANCE PRETTY GOOD.